My grandad loved his video camera. Every holiday, every family event, he was there with his camcorder in hand. 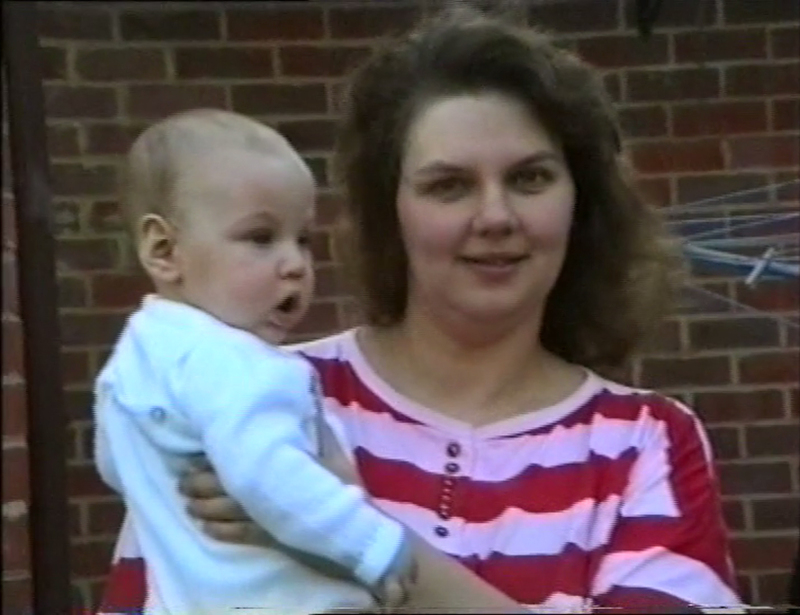 My mum had one video from this time, called Jamie's Christening. 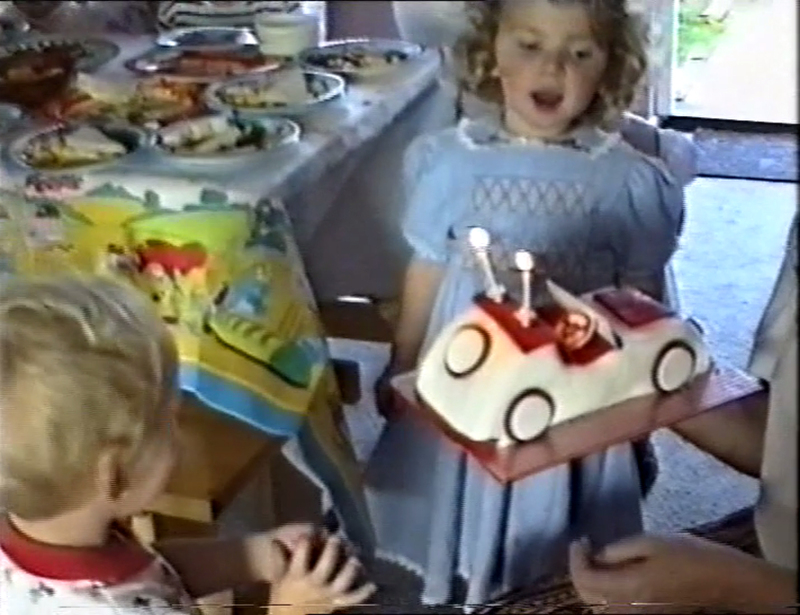 My little brother was christened in 1990, just before my 2nd birthday, and this video documents the occassion, along with general visits to my grandparents over the following year. 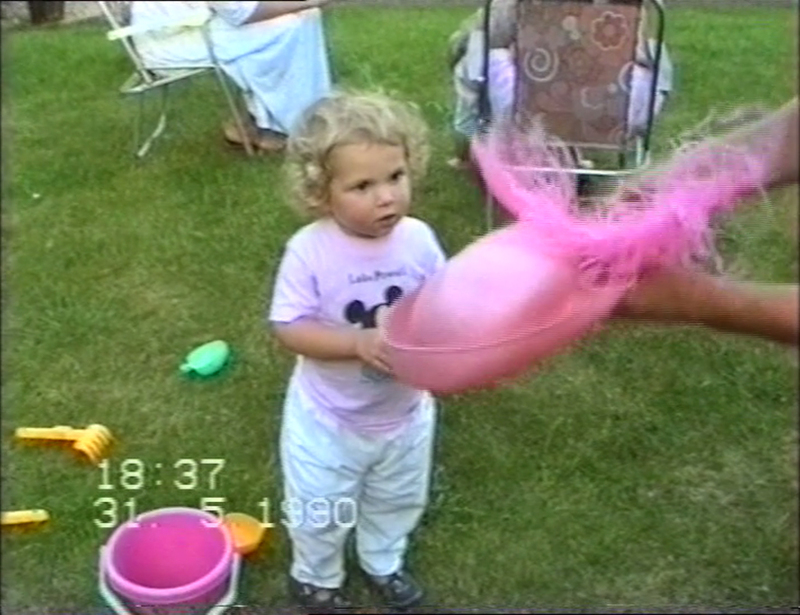 Last month, I got the video copied onto DVD and spent a lovely hour trekking down memory lane. Although I remember watching the video back when we owned a VHS player, it was really interesting to watch it with the emotional maturity that comes with having lived over a quarter of a century (Well, that doesn't make me feel old!). 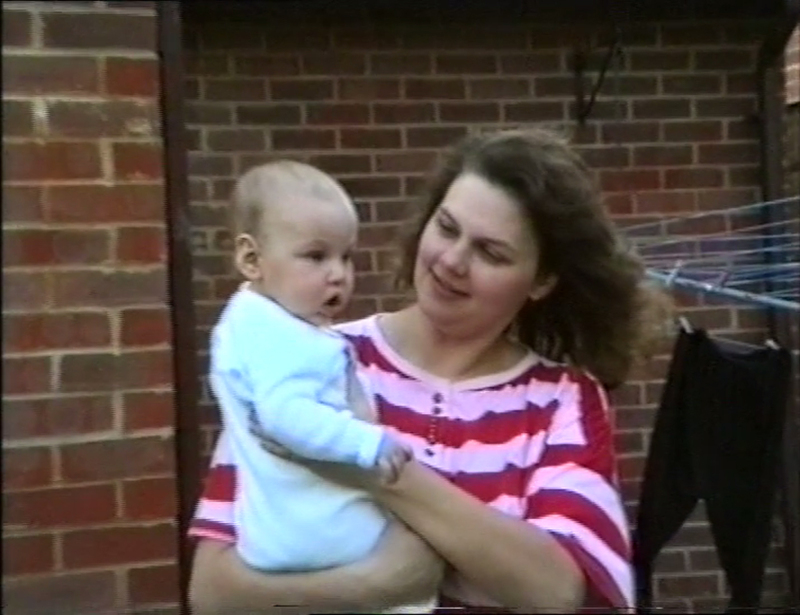 In these films, my mum was 27, so only a year or so older than I am now. Lately, I've been caught by surprise when glancing quickly at photos with me in the background, as I look so much like my mum. Seeing this video was crazy as she looks so much like me in it! Or I look like her. Whichever way around it goes. 2. I was a weird child! 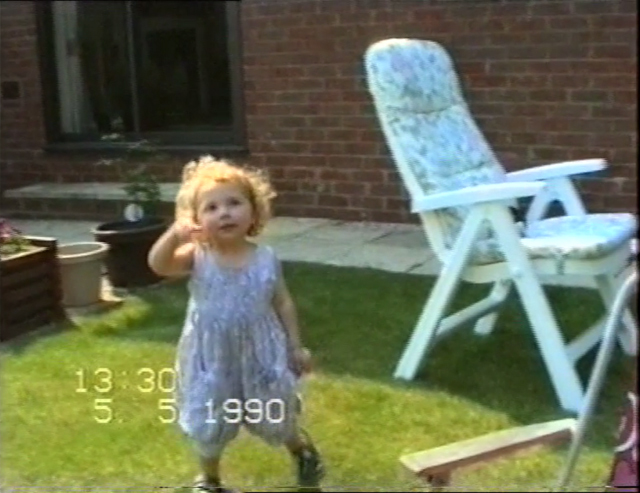 Throughout the video, my family are calling to me "Becky! Becky!". I totally ignore them every time and carry on with what I'm doing. Everyone seems to find this hilariously endearing but it's concering, right? I'd be pretty worried that my child had hearing problems if they did that. I never smile, I never cry and I laugh once for all of 2 seconds. I show absolutely no emotion whatsoever. Although I'm 3 by the end of the video, I say pretty much one coherent word in the whole video and that's whinging "heavy!" when I try and pick up my toy pram. Rich thinks this is hilarious since I'm always whining that things are too heavy and getting him to carry them for me. Although I knew I was a quiet, morose child, I had no idea I was quite that silent. It's creepy, like something out of a horror film! I'm at my most active when it's just me and my grandma which is adorable, as I've always absolutely adored my grandma. 3. My clothes were the best. Let me show you a selection of my favourite outfits from the video. Jamie's 2nd birthday. Yes, I blew the candles out. 4. My tendency to be easily distracted is not a new thing. Butterflies, aeroplanes, my own shadow... If something moves in my line of vision, it will distract me. Unless of course it's a member of my family, in which case I'll just be stubborn and totally ignore them! 4. I've always really liked teddies! I've never exactly kept it a secret that I really like stuffed toys. Back in 1990, I was not seen without one. 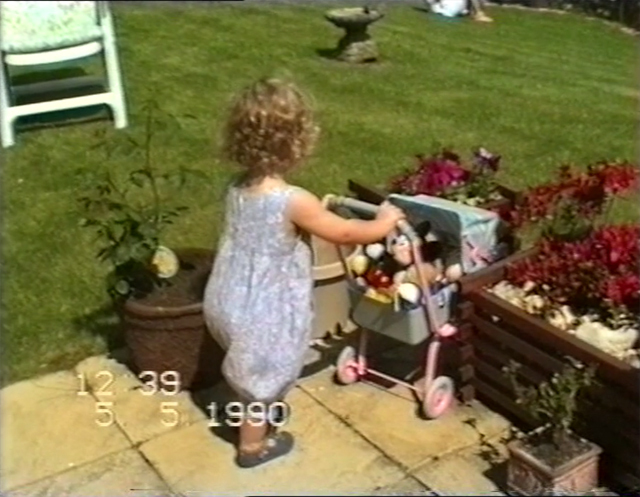 I would totter around my grandparents' garden with a pram filled so high with teddies that they overflowed, and when my uncle leaned in with Jamie towards my teddy on the floor, I snatched it up viciously and flattened it against my tummy. Nobody's getting my teddy! 5. Jamie has always been a gormless idiot. For years, my family has made fun of Jamie for being a total gorm. In every single frame, he has his mouth hanging wide open and a totally vacant expression. I know babies aren't particularly responsive but he certainly took that to the extreme! 6. Speaking of Jamie, I had no interest in him whatsoever. Sorry, Jamie! We're close now and all (and when I was in nursery, I remember telling the nursery nurse that I wanted to marry him! ), but when he was a baby I could not have cared less. I'm never seen with him unless I am physically placed next to him. Even when my family eagerly encourage me to "go on! Play with Jamie. Make him laugh! ", I ignore them and wander off. 7. Becky Bedbug is 24 years in the making. I chose my blog name because Becky Bedbug was my dad's nickname for me when I was little. 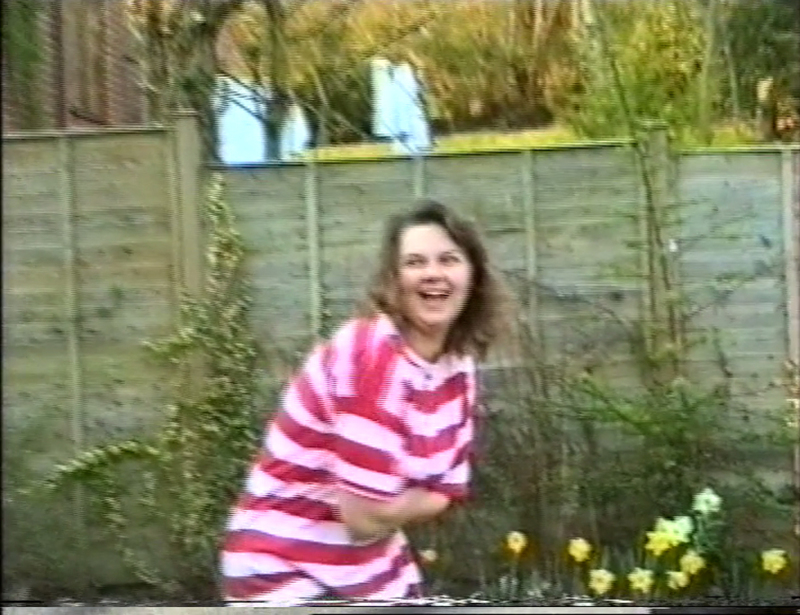 There's a really cute moment, filmed on 5th May 1990, when my Grandma says "Becky Bedbug! You're not going to bye-byes are you?" 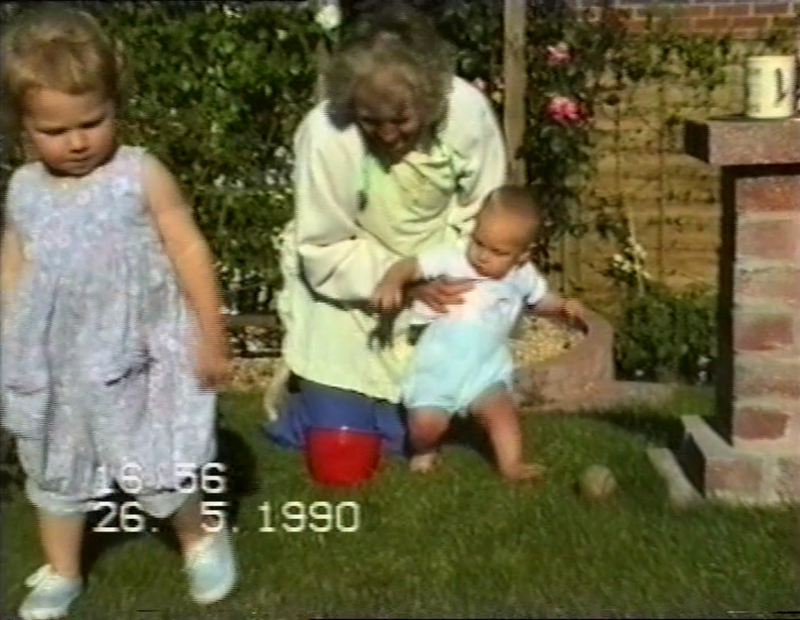 I definitely need to hunt down some more home videos to convert now! 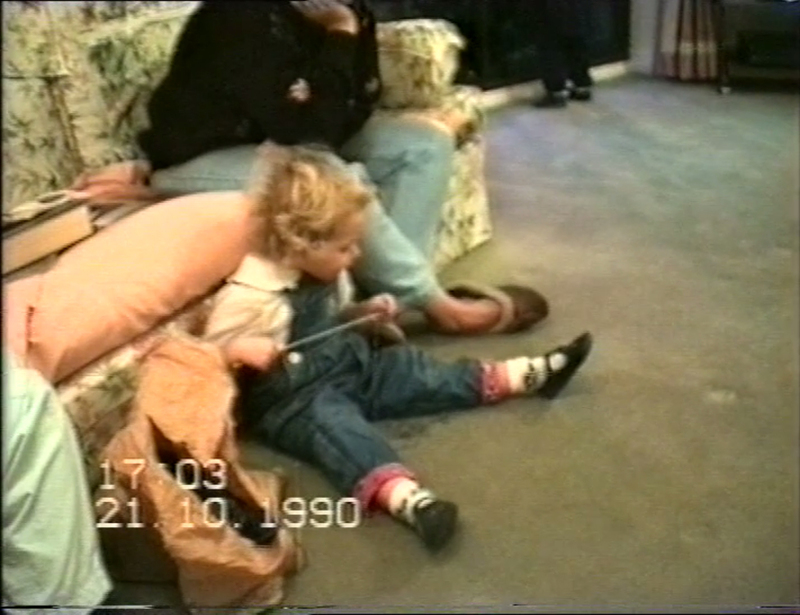 Oh my I love seeing home videos! Me too! Especially the really old ones! Aw this post is so cute! 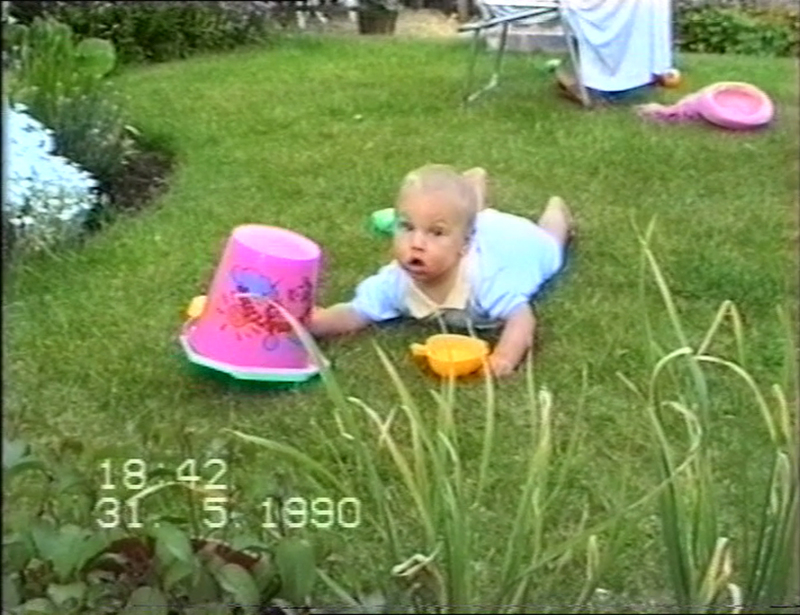 My home videos are so embarrassing! It's like my parents never bought me any clothes! I'm naked in almost all of them haha. haha so cute! I wish I had more old photos and such to look at but we weren't big photo takers as a family.